Historically, IDaaS (Identity-as-a-Service) has been web application single sign-on. The term IDaaS was created to describe a category of solutions that sat on top of Microsoft Active Directory®. AD had become the most popular identity provider and was the central identity management platform in most organizations. Since the IT landscape at that time was Microsoft Windows and on-prem, the only real opportunity for new entrants into the identity and access management space was web application SSO. That name quickly gave way to IDaaS because the single sign-on solution was delivered from the cloud. As IT admins know, the internal IT network has changed dramatically. Not only is Windows no longer the dominant operating system platform, but it also only represents one in five devices [Forbes]. macOS and Linux have made significant progress in the market. Data centers are giving way to cloud infrastructure providers, such as AWS. Applications are both on-prem and in the cloud. WiFi has become the network infrastructure of choice. And, security remains a major requirement since organizations are being breached every day. Unfortunately, given this array of IT resources and the limited abilities of AD with Windows and traditional IDaaS providers with web application SSO, a big chunk of every IT network is being missed. 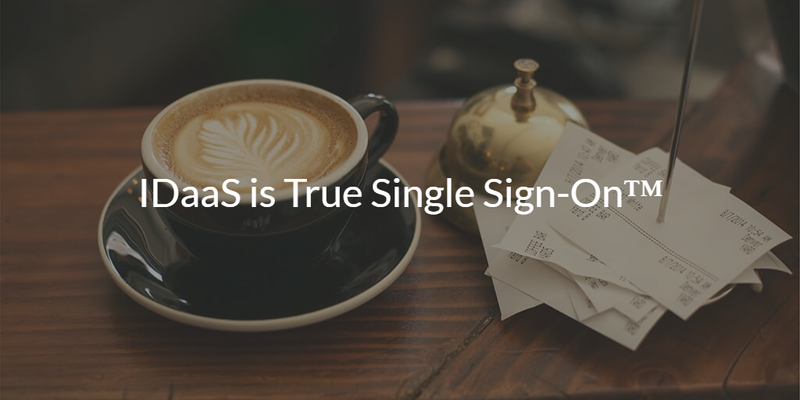 Modern IDaaS providers are building True Single Sign-On™. This approach to cloud identity management is integrating a central, cloud-based identity management platform that connects users to the IT resources they need. Perhaps an organization is using G Suite or Microsoft Office 365. Directory-as-a-Service® can leverage those credentials to authenticate to a user’s laptop or desktop, cloud servers at AWS, web and on-prem applications, WiFi, and more. Modern IDaaS integrates all different types of IT resources to be centrally controlled and managed. The benefits of this approach are tremendous. While IT has greater control and more security, end users have a frictionless and less frustrating way to connect to the IT resources they need to get their jobs done. With a cloud-hosted identity management platform, IT organizations save significant dollars. The ROI on IDaaS is higher relative to cobbling together Active Directory, web app SSO, and other solutions. If you would like to learn more about IDaaS and True Single Sign-On, drop us a note. Also, please give our Directory-as-a-Service platform a try for yourself. 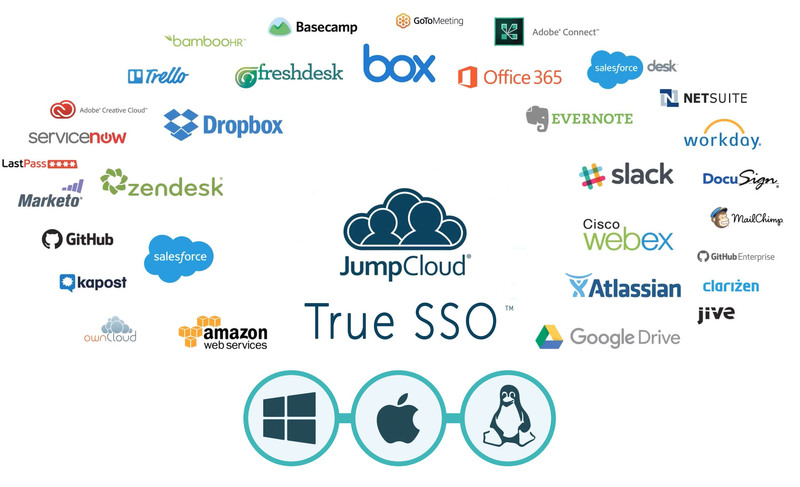 Finally, please be aware that your first 10 JumpCloud® users are free forever.